LED lighting with a custom lighting control system that exceeds the energy code. The 85,000 square foot Subaru dealership project completed in 2016. 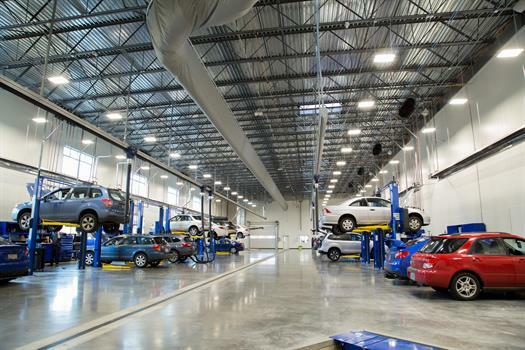 It features a 16-bay, full-service center with vehicle exhaust system, a car wash and detail area, a three-level automated car stacker display lifts and a full café. 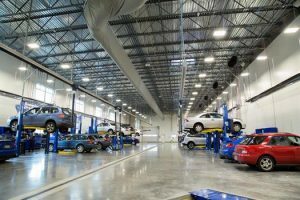 The design-built dealership was installed with LEDs, programmable lightening systems, and panels wired by West Side Electric Company. 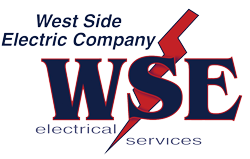 “This was our first large=scale project with Lanphere Construction, and they were great to work with,” said Levi Weintz, West Side Electric Company Project Manager. “It’s a lot of fun to design, engineer and wire a building of this size. It is utilizing a complete LED lighting package on a 480-volt system. The building looks great, and it was a pleasure to be a part of.” The parts distribution center will be serving as a key West Coast hub for Subaru.